BEST FRIENDS 1 and 2, for ages 8 and 9, fits well between STORYTIME and EXPLORERS. It is a great initial course and should be effective in bringing children to Christ. It gives a deeper explanation of the impact of becoming a Christian on your daily life. EXPLORERS 1 and 2 are ideal for those 9 through 14 years of age and those completing the BEST FRIENDS series. 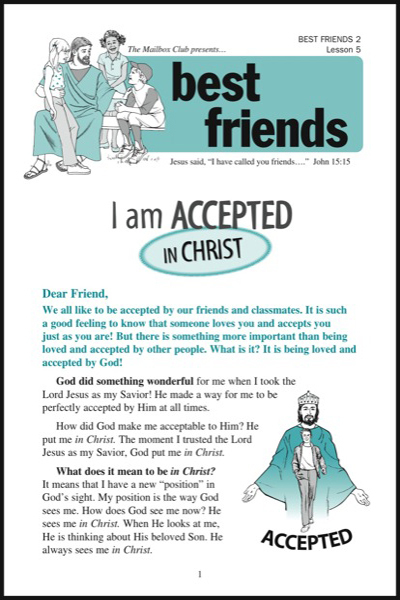 The lessons are excellent, basic Bible study material covering a wide range of vital Christian teaching. Each lesson has a puzzle page, emphasizing a truth from the lesson. The first course has been redesigned with new artwork. SEE & DO 1 and 2 are for children 4 through 7 years of age. They present Bible truths through well-illustrated Bible stories. 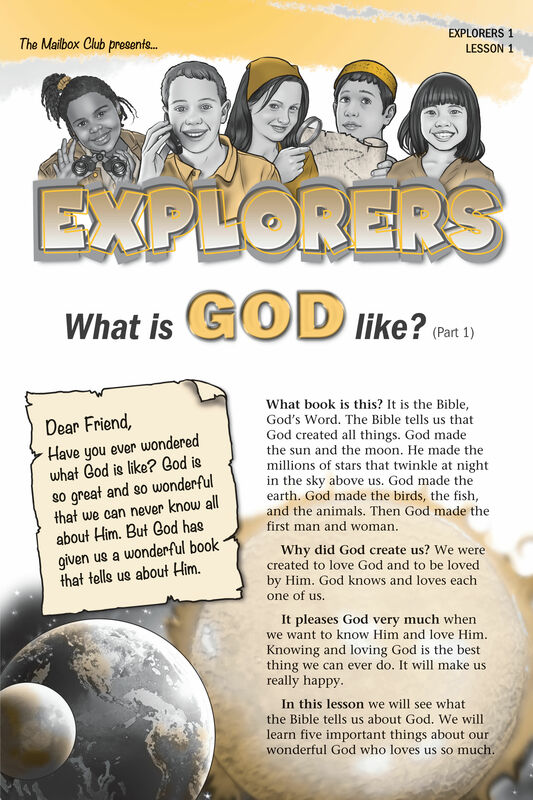 Each lesson includes a page to color and a Bible quiz, designed for the parent or teacher to read to the child. After several readings, the child may begin to read for himself with the help of the illustrations. STORYTIME 1 and 2 are for ages 6 through 8. The lessons are well-illustrated. 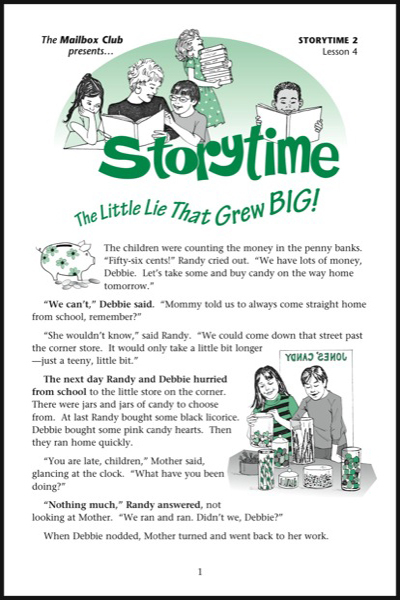 Each lesson has a short continued story which teaches a Biblical truth that children easily relate to. Each lesson contains a puzzle page that reinforces each lesson theme. YOUNG EXPLORERS 1 is adapted from Explorers 2 and is designed for younger readers 7 through 9 years old. The course covers the Gospel and the importance of having a daily relationship with Jesus Christ. With its simpler language and eye-catching illustrations, it is an excellent introductory course and a good substitute for STORYTIME or BEST FRIENDS.